In the last 24 hours some 2 inches of rain has fallen in Candelaria and the ranches to the north in the Sierra Vieja. Walker Creek and Capote Creeks are running fast and according to reports, the Rio Grande is out of its banks at Candelaria. 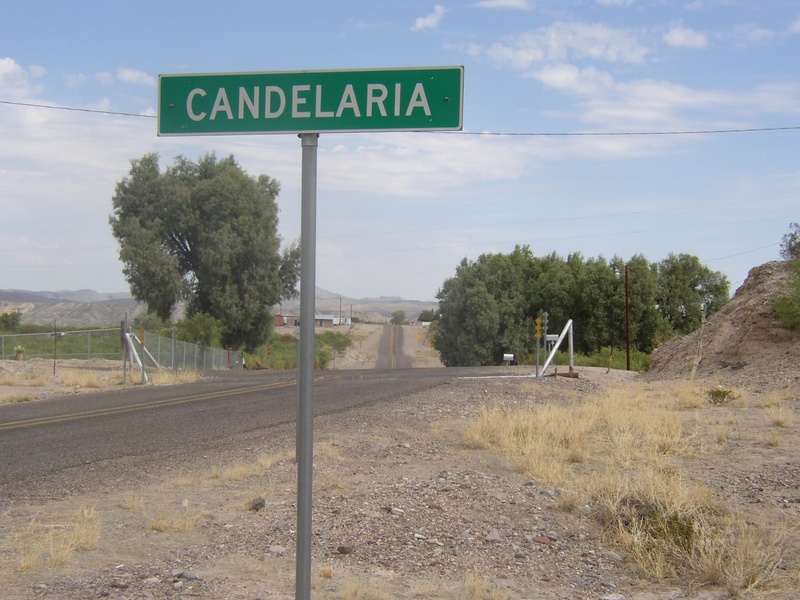 Candelaria lies in a natural flood plain and is subject to severe flooding when rain falls in the Sierra Vieja.The first two crossings of Capote above Candelaria are impassible. We are marooned. Yesterday after I posted the article and photos of the bridge, a large contingent of Border Patrol trucks and personnel removed the Candelaria footbridge. It no longer exists. As soon as we learned of the removal, we drove to Candelaria arriving there about 10:30 am. The last of the Border Patrol trucks were just leaving and the road blocked by heavily armed but courteous BP guards. I ask if the bridge was gone and if I might go take some photos at the crossing. They let us pass after the last truck drove out of the bosque. The bridge is gone. Not even a scrap or tiny piece of it left on either side of the river. Across the river on the Mexican side, a few amazed locals waved back to us. It was swift and efficient removal. Yesterday, it was there, today it is gone. They hauled every piece of the old bridge out on a flat bed trailer. As we drove by the school, the entire schoolyard was crammed full of Border Patrol vehicles. The remains of the bridge sat encircled on the trailer by U.S. government vehicles. We decided it was time to go home. It is a sad day on the river. 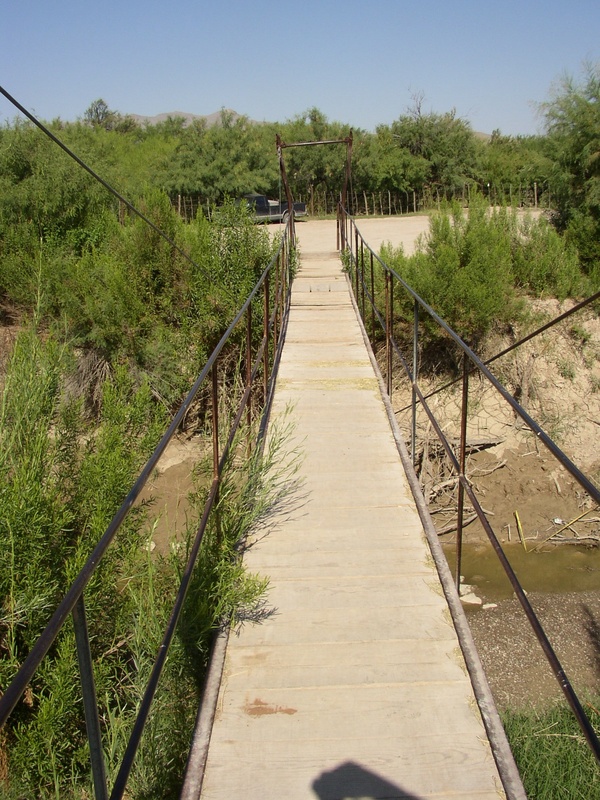 For more than 50 years, the little bridge stood as a symbol of cooperation between two tiny Texas-Mexican border villages. Now it is history. The old Candelaria bridge is still here. It spans a muddy trickle some five-foot wide in an almost dry arroyo. It's hot in the Presidio Valley. Few venture outside after the cool morning hours. The school kids are out for the summer so they are not using the bridge. Few do these days. Everyone waits to see if the bridge will survive. A squad of Border Patrol men and women stationed at the Candelaria school go about their duties patrolling this part of the border. It's a thankless job and they are the only law we have here. Some Andrew Jackson art painted on an old car hood expresses a lot of feelings about the school being closed. Across the river at the medical clinic, Dr. Maribel Aquino waits and wonders if her link to the outside world will be cut by the removal of the bridge. Manuel Carrasco is doing well and just got his new work visa. Not long ago, Manual suffered a heart attack on the Texas side and thanks to Dr. Aquino's clinic in San Antonio is alive and well today. Glenn Willeford and Gerald Raun have done an insightful study of Big Bend cemeteries. 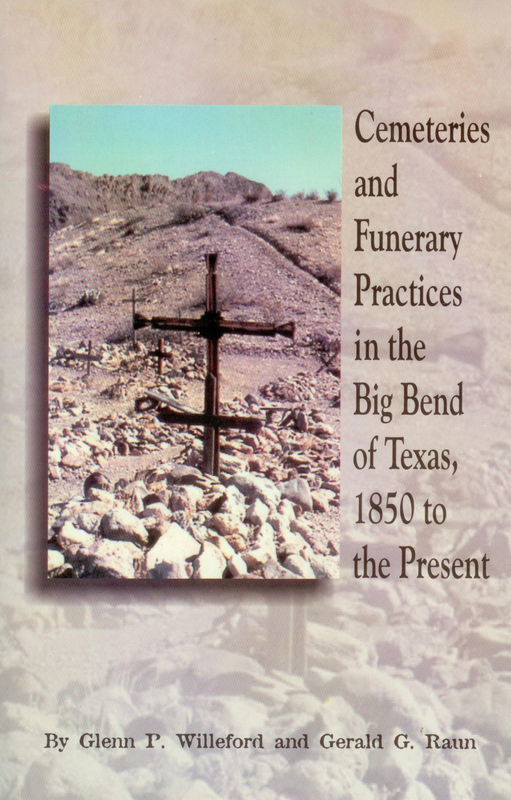 Their "Cemeteries and Funerary Practices in the Big Bend of Texas, 1850 to the Present" is 240 pages packed full of out of the ordinary tidbits of information that genealogists or anyone interested in finding the grave site of a long lost relative will want to read. While many parts of the country have readily available listings of local graveyards and their residents, final resting places in the Big Bend has been a long overlooked topic. Willeford and Raun did not simply republish courthouse records but did extensive research of the some 63 graveyards in the Texas Big Bend and personally visited each of them. Many of these isolated family cemeteries have escaped official records in Brewster, Presidio and Jeff Davis counties and the book finally documents these historic gravesites. Included are 42 photographs of various cemeteries as well as detailed locations. Glenn Willeford is an American writer and professor of history who lives in Chihuahua. In 2004, his first novel, "Red Sky In Mourning" became the first English language book published by Universidad Autonoma de Chihuahua. A follow up to Red Sky titled "Passage to Lisbon" is now in the works. Gerald Raun, Ph.D, is the author of four books including the first "Snakes of Texas" offerings and over fifty journal articles on biology and history. "Cemeteries and Funerary Practices" is available at Front Street Books in Alpine. Email Front Street at findit@fsbooks.com or call 432-837-3360. Five years ago I undertook a project that, like a time machine, catapulted me back to the Trojan War, then to our subsequent ancestral home in Italy, and, via Spain and Mexico, to the Big Bend of Texas. 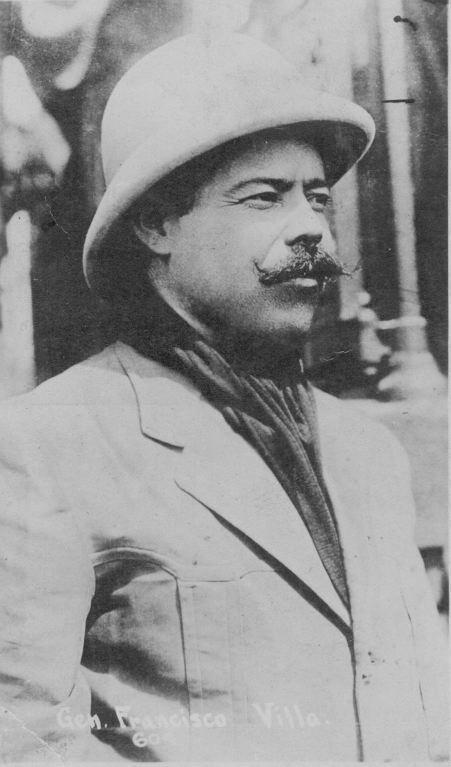 Initially, my intention was to put together a primer for the immediate ancestors of my great-grandfather, don Federico Villalba, who moved from Aldama, Chihuahua, to the border in San Carlos. The "primer" ballooned into a three hundred-plus-page treatise filled with photographs chronicling the Villalba family legacy. The book was received so enthusiastically by our family that I was encouraged to have it published, not only for ancestral knowledge, but as historical record. 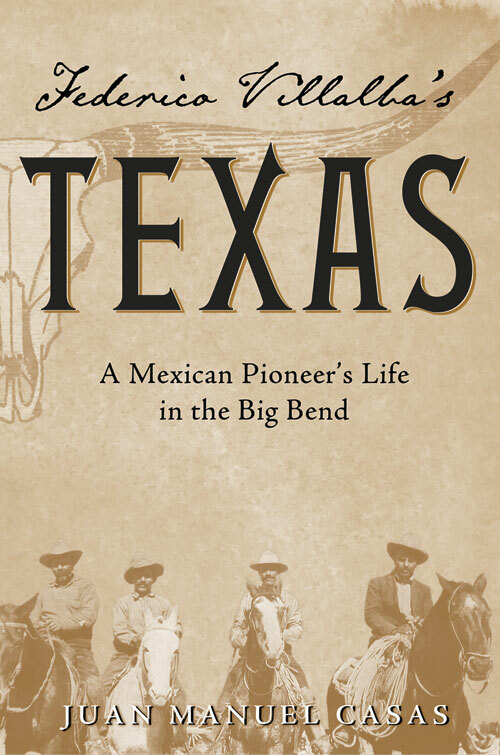 I am happy and honored to add that my book, Federico Villalba's Texas: A Mexican Pioneer's Life in the Big Bend, is due on the shelves this July. 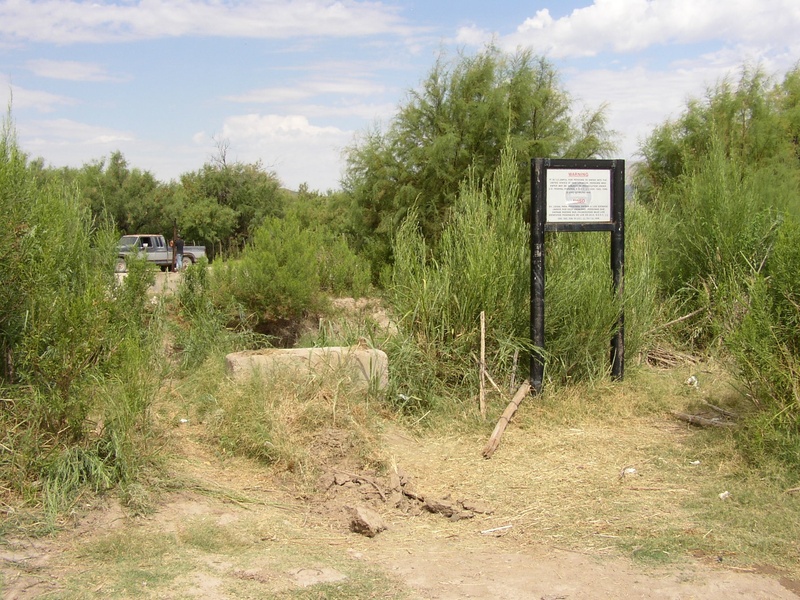 My mother, Herminia, was born on Rancho Barras on the banks of the Rio Grande, in 1926. She is the daughter of Regina Villalba, Federico's pistol-packing daughter. He also had five sons: Felipe -- the eldest, Jorge, Federico Jr., Jacobo ("Jake"), and Santos. 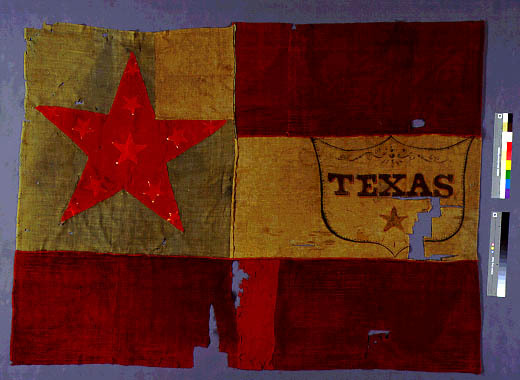 Barras Ranch was situated in the present-day Big Bend National Park. The sixteen hundred-odd acres Federico leased from A. J. Compton are designated as the Diablo Ranch on the Park Service map. El Diablo was the family's second landholding. The initial ranch, a ten thousand-acre estate, was situated in Burro Mesa. 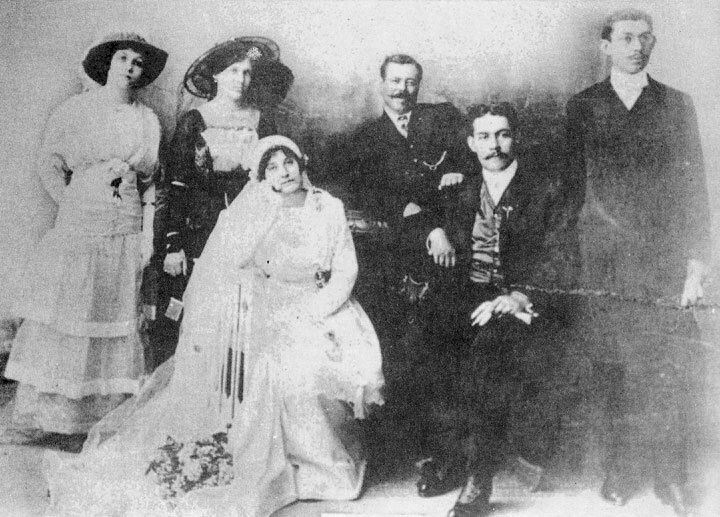 Federico was obligated to enjoin ownership of that holding to the Alpine law firm of Mead and Metcalf in 1924 in return for legal services when his son Jorge was indicted and tried for homicide in the shooting deaths of the Coffman brothers. 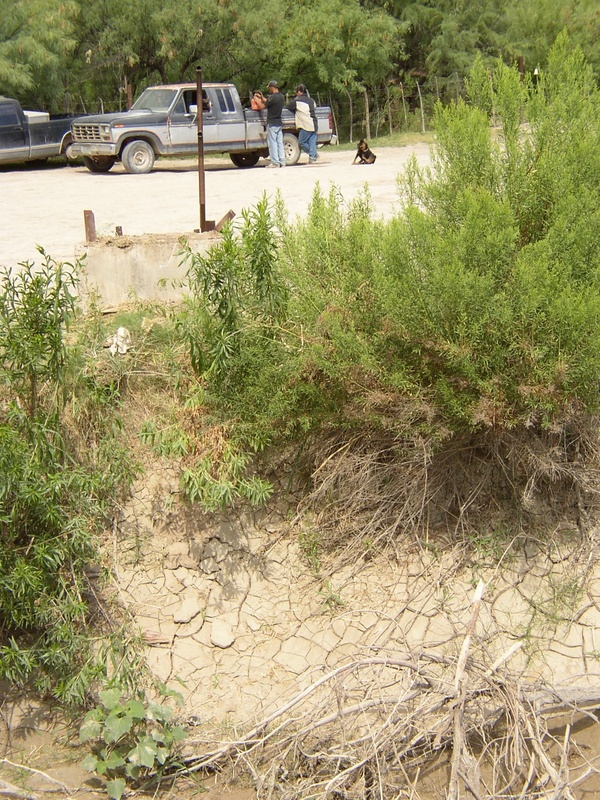 Jorge was acquitted of the charges by a Brewster County jury. Federico, at one time, also owned another ten thousand acres on the west side of the Chisos Mountains. 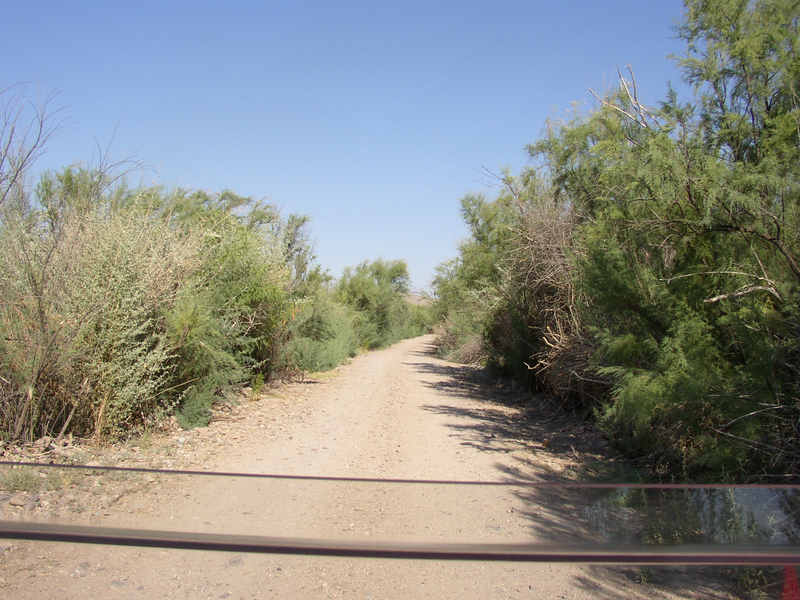 In addition to other ranchland Federico had several sections set back as a hunting preserve on the present-day Terlingua Ranch. In the early 1900s he discovered cinnabar on Cerro Villalba, property that had been named for the family. 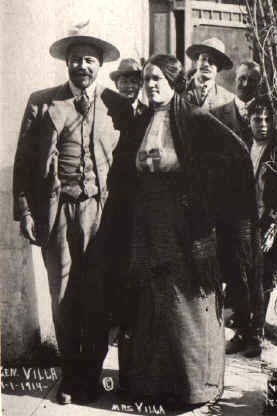 Federico accepted a partner named William Study and began development of the Study Butte Mine. Cerro Villalba was thereafter called Study Butte. My great-grandfather was also proprietor of the Study Butte Store through the 1920s. Not far away was his Bar La Fiesta, a local "waterin" hole. Across the Rio Grande Federico also owned five-thousand acres in the vicinity of old San Carlos, which today is known as Manuel Benavides; additionally he had a successful talabarteria, or leather goods shop, at Santa Elena on the Chihuahua side across from today's Castol'n (originally also called Santa Elena) in the national park. For the two years I engaged in research hardly any contemporary documentation of Federico's holdings and accomplishments in the Big Bend came to light. It seemed almost as those had been hidden away. Kenneth B. Ragsdale in his tome Quicksilver: Terlingua and the Chisos Mining Company (Texas A&M University Press, 1976), did, however, single out and devote an entire chapter to the shooting of the Coffman boys and of Jorge Villalba's trial. Ragsdale also mentioned my great-uncle Jake's murder in November, 1931, and the purloining of the family property in the Chisos. By and large, the record of Villalba experiences in the Big Bend has been condensed to the tragedies that befell them and various other well-placed Hispano-American families. There is so much more to the historical record of occupation in the region that has as yet been told. I am grateful that Mike Hardy at Iron Mountain Press feels the same way. In this offering, and in my upcoming prequel, Of Cowboys and Kings, we invite the enthusiast to sense the Big Bend border country through the aspect of one of our earliest settlers, my visabuelo don Federico Villalba. The book will be available through Front Street Books (fsbooks.com) in Alpine, TX, Barnes & Noble and Amazon.com and Iron Mountain Press, Houston, TX. Thank you for the information. While I was not aware of this, Mr.
office so that it is on our radar. Please take a few minutes to look at and consider the impact of U.S.
the problems if you and he are not already.